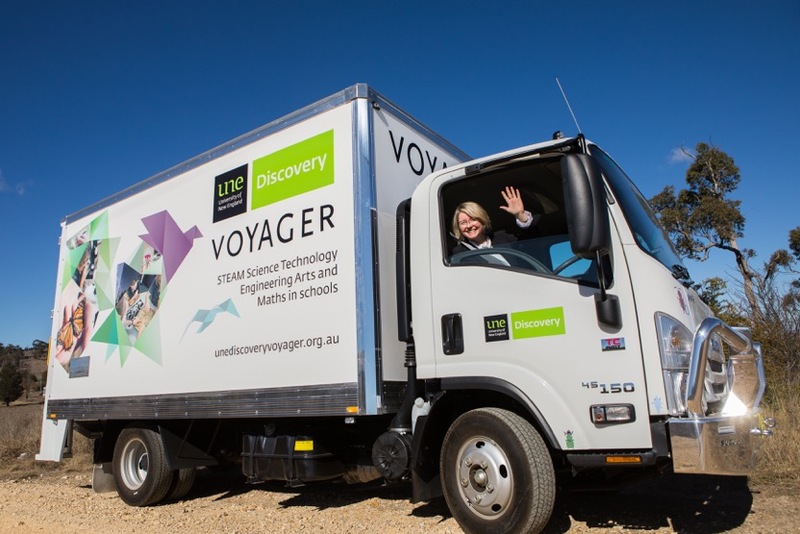 Barely two weeks ago, the UNE Discovery Voyager team stepped aboard our new, specially kitted-out truck! 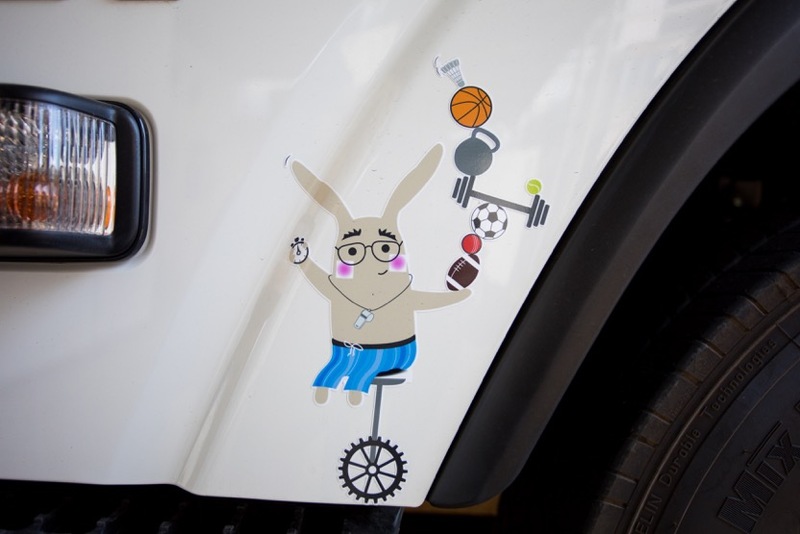 This 4.5 tonne Izuzu Pantech vehicle will be helping us bring our gear – and our enthusiasm for science and creative learning – to schools all over Northeast NSW. 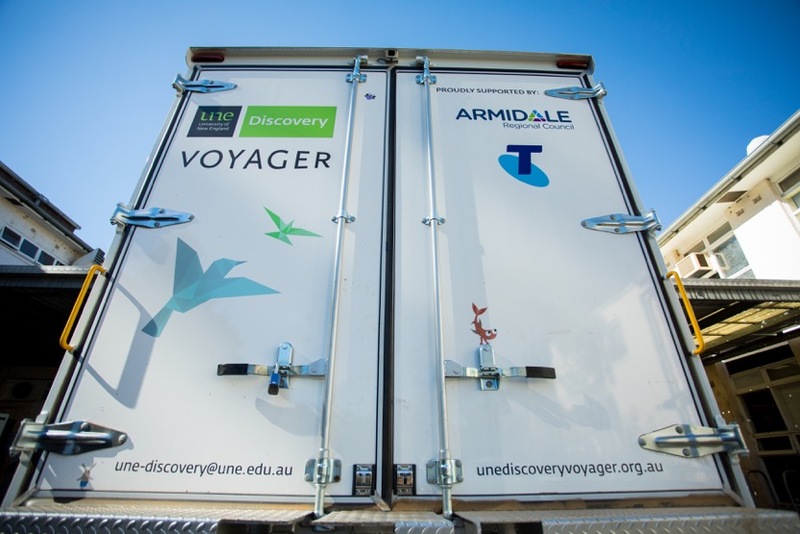 With UNE Discovery continuing its dedication to this on-the-road science program, ‘Suzie’ the truck will be making sure we stay equipped and connected, whether we’re setting up marquees at AgQuip or taking hands-on activities to Lansdowne or Lightning Ridge, to Baradine or Byron Bay. The truck is fitted with customised shelving, storage areas and fixtures so we can strap in many hundreds of kilos of gear and equipment. That might include a heavy exercise bike for our Dynamic Bodies sports science activity, litres of hydrogen peroxide for our Curious Chemicals sessions, or even a giant foam ear for the Sound Factor, an interactive performance about the science of sound. This custom fitout makes our job much easier, meaning the loading and unloading is safer and quicker than using a smaller vehicle. It also helps us when we’re on the road for multiple days at a time carrying a whole array of activities ready to share with different schools on our journey! 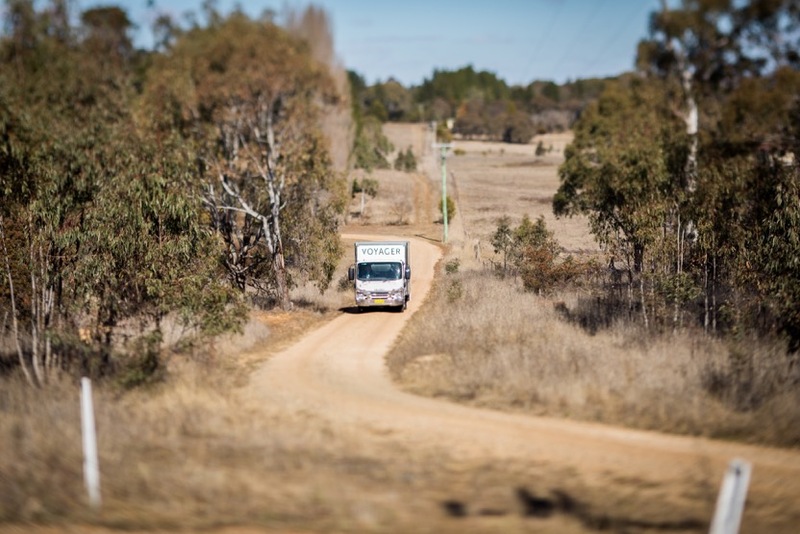 A partnership with Telstra means we’ll be on-line, on-social and on-call no matter where we travel. Wi-Fi capabilities will keep us in the loop and allow us to share our adventures and discoveries with you all (make sure to keep an eye on our blog, Facebook, and Instagram! ), and Telstra’s contribution to tech education spreads the love to the schools we visit as well! The collaboration extends to events, so you might see us and Telstra popping up together in the future. Building connections is a big part of what we do – not only the powerful neural connections to learning and engagement sparked by undirected play and open curiosity; but also physical and geographic connections across the catchment, between UNE in the New England highlands and the towns, regions, and communities we travel to, along the East coast, up in the mountains, through the valleys and down on the plains. As Suzie winds her way along a network of roads, we’re bringing science to the outback and the bush, hopefully in a beneficial and now very recognisable way! We’re also building relationships with schools throughout our region, getting to know students and teachers, encouraging a love of science and offering inspiration and role-modelling to young learners. As word of Voyager spreads, we find that our calendar fills up fast and schools are asking us to come back year after year, sometimes even requesting to book us in again straight away! 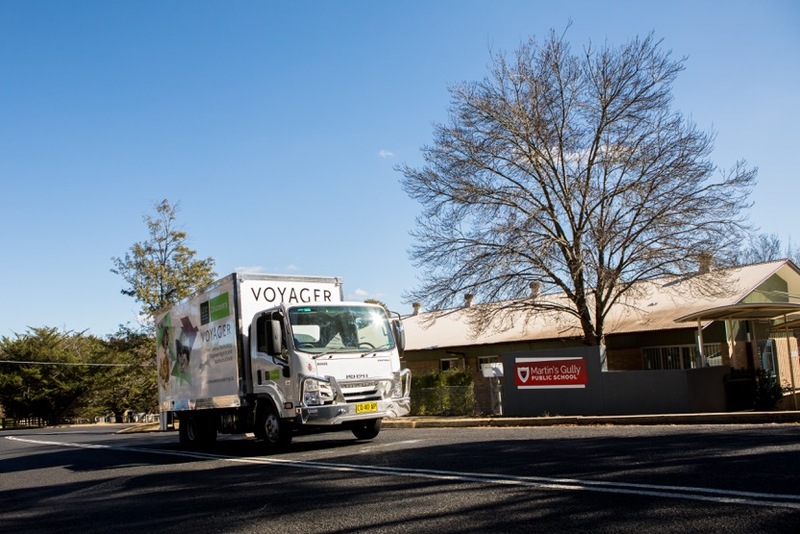 We’re so excited to have the capacity to do this, and the Voyager truck really is a symbol of how successful the Voyager program has become since first hitting the road in late 2016. The enormous value of the Voyager program really is in its accessibility – that is, we come to you! This means the small, poorly resourced or isolated schools that so often miss out can have our scientists and educators drive right to their doorstep. We focus on small and rural schools, sometimes delivering our activities to two or three schools of less than 15 students each, in a single visit. Every single day on the road our Voyager team sees first-hand how much this is appreciated by the teachers and the children we visit. We do our best to go as far and to as many schools as we can! We’ve been reaching further than ever this year, with a bigger team, more activities, and more school visits than we’ve had to date. In Term 2 alone, we engaged some 2940 students from over 50 schools! And the pace isn’t slowing down; Term 3 is jam-packed with school trips and events including AgQuip and Science On The Road! Not only that, we’re engaging broader audiences, connecting to other UNE programs, and building our content with new science activities as well. In Term 2 this year we introduced a Nutrition activity, a Neuroscience activity, and an activity for highschool students to explore how palaeontologists first calculated the weight of dinosaurs… Suzie will be coming along for the ride, but our truck is just the surface: a tangible indication of our expanding reach to more people, places, ideas and experiences. Chances are we’ll be down your way soon! So why not connect with us? And if you see Suzie, and her crew of traveling scientists, on the highway, on the back road, or down the street – give us a wave! Or check out our Instagram. Want to contact us or make an enquiry? Email une-discovery@une.edu.au or call 02 6773 1012. Browse our website and stay up to date with our blog! And don’t forget to see what else UNE Discovery is doing – head over to www.uneboilerhouse.org.au to find out about the Boilerhouse project.